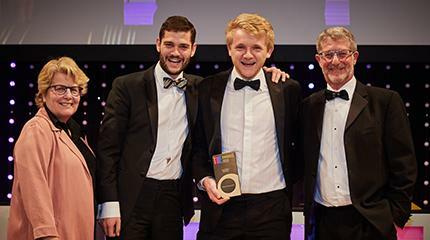 Head Chef at Harper Adams University College, Wayne Wright, was today crowned the ‘Best Public Caterer’ at the BBC Food & Farming Awards. 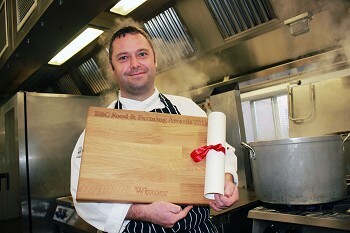 He was presented with the award at a special ceremony during the BBC Good Food show at the NEC in Birmingham. The award is in recognition of ‘cooks who make mealtimes in our hospitals, care homes, schools or workplaces a delight’. Wayne was up against two other finalists. Prior to receiving the award, Wayne was visited and interviewed by two judges - Jeanette Orrey, former Catering Manager and writer of cookbook ‘The Dinner Lady’, and Helen Crawley, Reader in Nutrition Policy at City University, London. They were astonished by the quality of food created in Wayne's kitchen, where around 10,000 meals are produced each week. They commented, "What really stood out about Wayne was the immense dedication to his role. "It's not just about sourcing food from what is available, but it's about coming up with innovative menus, working with staff to train them up. "The food looked brilliant, home cooking but on a big scale." Head of Catering at Harper Adams, David Nuttall, said: “This is just rewards for Wayne’s hard work pushing our food metres initiative. 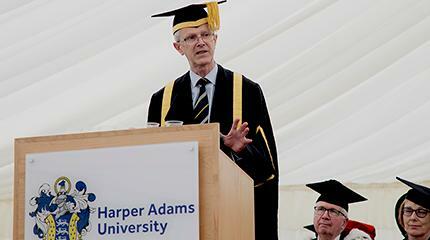 Wayne, from Lichfield, has worked at Harper Adams in Shropshire since 2005. 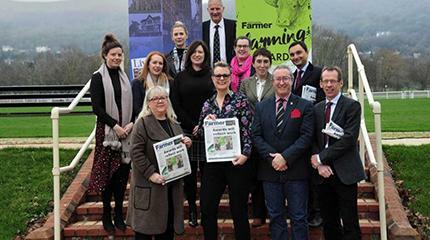 The BBC Food & Farming Awards are now in their 12th year, celebrating the people and organisations behind the best of British food. To listen to the awards, visit here.